The process, according to the UIDAI website, requires the Aadhaar holder to submit a digital copy of the required documentation. Are you looking to change the address given on your Aadhaar card? The UIDAI or Unique Identification Authority of India provides an online tool on its portal, uidai.gov.in, Called 'Address Update Request (Online)', this online tool enables Aadhaar holders to request a change in the address fed into the Aadhaar system. Within minutes, an Aadhaar holder can complete the process of making an address updation request. The process, according to the UIDAI website, requires the Aadhaar holder to submit a digital copy of the required documentation. The change can also requested by visiting an Aadhaar Kendra - or Aadhaar centre - in person, according to the UIDAI. Once you visit the UIDAI website, spot and click on the 'Address Update Request (Online)' link. This tool can also be accessed directly via a link. Enter your 12-digit Aadhaar number and click on 'Send OTP' to proceed. After this, the UIDAI portal will send an OTP or One-Time Password to your registered mobile number. Enter this OTP in the specified field on the UIDAI portal and click on 'Login' to proceed. Fill in the new details carefully. Ensure that your information is transliterated correctly in the local language, adds the UIDAI. Tally the details thoroughly and proceed. "Residents are required to upload scanned image of original Proof of Address(PoA)/self-signed (self-attested) copy of PoA documents for update/correction," the UIDAI mentions on its website. The documents required for address change include passport, bank statement/passbook, statement of Post Office account/passbook, ration card, voter ID, driving license, water bill and telephone landline bill, among others, according to the UIDAI website. 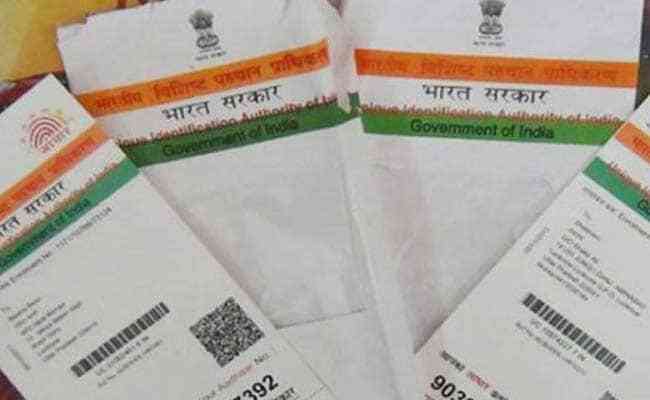 The bills for water, telephone and electricity must not be older than three months, the UIDAI adds.